Where is the difference between the BG-Mosquitaire, and the BG-Sentinel? There is no difference concerning the catching rate, but only in the construction. They use the same patented technology and the same electrical components. The BG-Sentinel is our original trap that is designed for scientists and researchers to monitor mosquito populations. It is made out of a light and easily transportable material. Where is the difference between the basic traps and the CO2 versions (e.g., BG-Mosquitaire and BG-Mosquitaire CO2)? 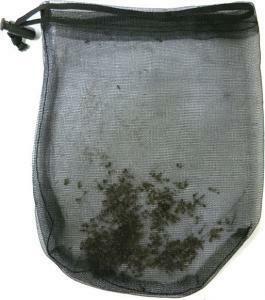 The basic traps (without CO2) only catch tiger mosquitoes (Aedes albopictus, Aedes aegypti). The CO2 versions attract all kinds of species (e.g., Culex). They also have a higher catching rate regarding tiger mosquitoes. Is it possible to upgrade every version of Biogents traps? Where is the best place for the trap? Our products are all rainproof, however, we recommend not to leave the traps in heavy rainfall. Mosquitoes are not flying during rainfall. In case of a lot of rain the catch bag has to be emptied more often than usual. How many square meters do the traps cover? There are many different criteria which have an influence on the catching rate such as mosquito population, breeding waters, resting places, coppice, climate, surroundings etc. The basic traps (without CO2) cover about 50 to 100 m² and the CO2 versions about 100 to 600 m². When will the trap begin to be effective? Our system needs about one week time to show an effect. The traps (as “artifical human beings”) are permanently present in contrary to human beings, and they catch patrolling mosquitoes so the active population (and its reproduction rate) will be held down in the long run. Yet, one cannot expect a big population to break down in a short period. Can the traps also be used inside the house? Traps with CO2 are developed only for outdoor usage. You can place them in the garden, balcony, or on the terrace. Is there a possibility to run the traps of battery or solar energy? The traps can be run with batteries. Normally motorcycle or car batteries are used. As thumb rule you can act on the assumption that the ventilator will need 11 Ah per 24 hours operation. For longer operation times this could get quite expensive. Until now it is not possible to run the traps of solar energy. During what part of the year do I set up the trap, and how long can I leave it running? The trap should be put out when the temperature has risen over 15° C over a period of several days. At this time, the mosquitoes will be active, and will soon begin mating. It is best to catch the mosquitoes now before they have a chance to reproduce and lay their eggs. How and when do I change the catch bags? 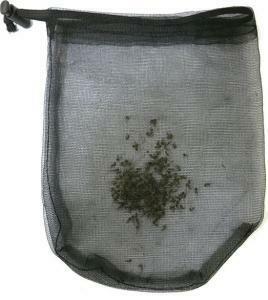 The catch bag along with the captured mosquitoes should be disposed of when the bag is almost full. The steps for changing the catch bag can be found in the instructions manual that is provided in the packaging, or see downloads at the top left of the page. 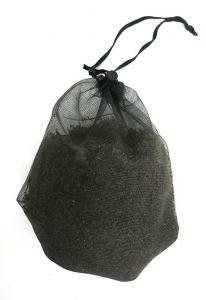 In trade, a catch net, a funnel net, a gauze covering, and the BG-Sweetscent are available in our webshop. How can I ensure that the mosquitoes caught in the catch bag and still alive do not fly out of the bag while I am changing it? Slightly pull the intake funnel out of the trap so that the catch bag is still within the suction current of the fan. 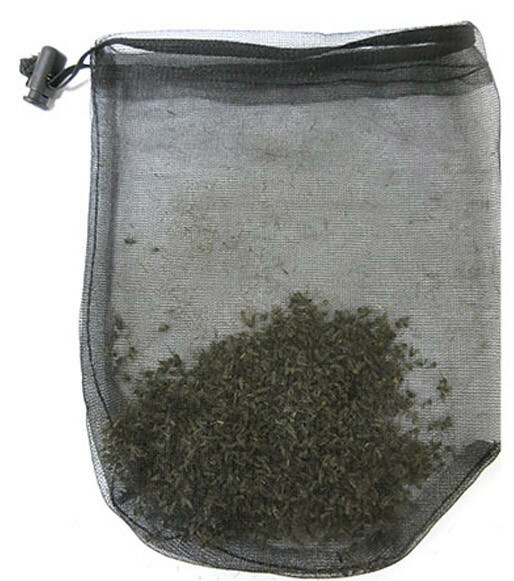 Pull the catch bag off of the funnel net, and simultaneously close the cord of the bag shut. Make sure the bag does not get caught in the fan. You can find these directions in the Instructions Manual that is provided in the packaging, or see downloads at the top left of the page. How and when is the gauze on the top of the trap changed? The gauze should be changed when it has become dirty and when there is no longer a strong color contrast between it and the intake funnel. Additionally, a dirty gauze does not allow sufficient airflow through. The steps for changing the gauze can be found in the instructions manual that is provided in the packaging, or see downloads at the top left of the page. In trade, the gauze, the Biogents Sweetscent, a catch bag, and a funnel net is available in our webshop. Where should I store the trap during the winter? The best location for storage is some place where it is enclosed and not exposed to winter weather. Do not store the trap where it is below the freezing point for an extended period of time. How many mosquitoes did the trap catch? Sometimes it is difficult to estimate the amount of caught mosquitoes. Where can I get a gas cylinder? It can be acquired or rented at drink retailers or bottle depots for a deposit. A door-to-door delivery service may also be possible in some locations. Where can I get a CO2-bottle in the USA? Is there a special gas tank you recommend? How often does it have to be changed? For our CO2 traps, we recommend using a 10 kg gas cylinder. However, you could also use 5, 6, 10, or 20 kg if you prefer. These can be acquired or rented at drink retailers or bottle depots for a deposit. A door-to-door delivery service may also be possible in some locations. How often you need to change the tank depends on: 1. what size you use and 2. which release rate of CO2 you use. Our CO2 traps give you the option of deciding between two flow rates: standard and high. This allows you to adapt the release of CO2 to the mosquito situation. In the product catalog, you will find a chart which compares the two flow rates, and shows how long a 5 kg and 10 kg gas tank lasts (in days). Is it possible to connect more than one trap to one gas cylinder? What accessories do I need? It is possible to connect up to three traps with our pressure reducing regulator. You can purchase the adequate Y-connector and a 20 m CO2 tube in our webshop. Where is the difference between the BG-Sweetscent and the BG-Lure? The BG-Sweetscent releases odors that are components of human skin odor into the surrounding environment. In combination with carbon dioxide and our BG-Mosquitaire CO2, it is effective against a broad spectrum of mosquitoes. The BG-Sweetscent is in combination with the attractive parameters “heat convection” and “light-and-dark-contrast” of the trap especially attractive for tiger mosquitoes, which can therefore be captured without carbon dioxide. The BG-Lure has exactly the same composition as the BG-Sweetscent. It is especially used for mosquito monitoring by researchers in combination with the BG-Sentinel. How long does the effectiveness of the human skin scent imitator last? How long and where can it be stored? The BG-Sweetscent has an effectiveness of up to two months, and the BG-Lure of up to five months (no matter if the trap runs 12 or 24 hours a day). Unused attractants can be stored in a cool and dry place for up to 1.5 years. What role does the BG-Sweetscent play? The BG-Sweetscent is a three component scent imitator that increases the efficacy of the BG-Mosquitaire trap in addition to visual signals and artificially generated air plumes. The patented composition of the BG-Sweetscent imitates the composition of human skin. What is particular about BG-Sweetscent? The BG-Sweetscent is a patented three component scent imitator that is specialized for use in the BG-Mosquitaire and the BG-Mosquitito trap and in particular against tiger mosquitoes. Therefore, it is only highly effective in combination with the BG-Mosquitaire and the BG-Mosquitito trap. Each of the three components imitates a part of the main components of the human skin. The particular light and permeable packaging of the BG-Sweetscent guarantees an optimal timed release of the scent into the surroundings. Is the BG-Sweetscent the actual "secret of success" for the BG-Mosquitaire trap? Would other mosquito traps obtain the same results as the BG-Mosquitaire if I used a BG-Sweetscent package with them? Absolutely not. The BG-Sweetscent is specifically designed for the BG-Mosquitaire, and specialized for tiger mosquitoes. Therefore, it only yields high results in conjunction with the BG-Mosquitaire and BG-Mosquitito trap which has been proven multiple times. How long does the BG-Sweetscent last? The BG-Sweetscent lasts for two months. After the two months it should be replaced to ensure the effectiveness of the BG-Mosquitaire and BG-Mosquitito trap. In trade, the Biogents Sweetscent package will be offered separate from the BG-Mosquitaire trap. How do I switch out the BG-Sweetscent package? The BG-Sweetscent can be switched out in two simple steps. These steps can be found in the instructions manual that comes in the packaging. How do I change the BG-Sweetscent? The BG-Sweetscent can be changed in two simple steps. The steps can be found in the instructions manual that was provided in the packaging. I have the impression that the BG-Sweetscent smell evaporates earlier than suggested. Should I exchange the BG-Sweetscent before the course of two months has expired? No. The human nose becomes accustomed to the odor, and after a while one does not smell it anymore. In addition, it is possible that right after opening the package a large amount of the scent is released for a short amount of time. The scent is actually still there and very efficient throughout the two months. Therefore, you do not need to change the BG-Sweetscent before the course of two months has expired. However, you cannot wait longer than two months to change the BG-Sweetscent to ensure the effectiveness of the BG-Mosquitaire. Where can I purchase the Biogents traps? Is it possible to have the products shipped to the USA? We do indeed deliver to the US, and it is possible to order the traps through our webshop. Alternatively, you can place the order directly through sales@biogents.com, and pay via wire transfer or with a Paypal account. Please note that you will also be charged a customs tax though the U.S. Customs Agency for importing a product from outside of the US. Please contact your local customs agency for more information. You will not need to pay the European VAT tax of 19 % which is already included in the products. What do I have to do when I would like to order a trap/accessories from outside the EU? Please contact our distributors, or send an e-mail to sales@biogents.com. Where can I purchase the BG-Sweetscent when the original one that was provided with the trap is used up after two months? 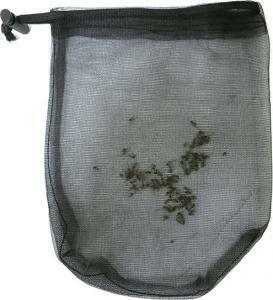 Where can I purchase other BG-Mosquitaire products, such as catch bags? The BG-Sweetscent, along with a catch bag, a funnel net, and gauze, will be available for purchase in our webshop. What is the guarantee for the BG-Mosquitaire trap? The BG-Mosquitaire trap applies the normal legal European Union guarantee for 24 months. Who do I contact when I have questions about my trap? can be found in the instruction manuals provided in the packaging. Please send us your questions via e-mail to: sales@biogents.com, and they will be answered. Why should I purchase Biogents traps instead of other mosquito traps that are on the market? 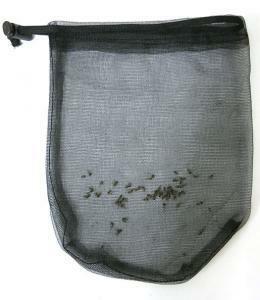 If you have tiger mosquitoes in your environment, then you should buy the BG-Mosquitaire trap. The BG-Mosquitaire was specifically developed for use against tiger mosquitoes. Many international scientific studies that have been published in the top scientific journals of the world, and also presented at important scientific conventions, conclude that the BG-Mosquitaire trap catches a much higher amount of tiger mosquitoes than other mosquito traps do. Therefore, making it the best tiger mosquito trap. These publications can also be viewed on this website. How is the BG-Mosquitaire trap specifically developed for tiger mosquitoes? Worldwide, there are approximately 3000 different species of mosquitoes. Every different mosquito species responds differently to variable signals. Therefore, to maximize the catch of a particular species of mosquito, it is almost necessary to develop a trap that is specialized for that particular mosquito. Biogents achieved this by specializing on the most dangerous mosquito species: the tiger mosquitoes. The BG-Mosquitaire trap is so efficient, because it uses a patented combination of visual signals, artificially generated air plumes, and a patented 3-component scent imitator called the BG-Sweetscent that mimics human skin. These features were specifically developed for tiger mosquito. 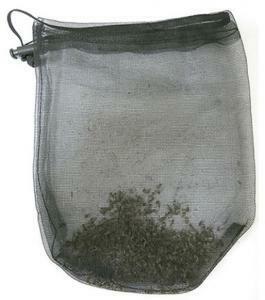 As for the catching of tiger mosquitoes, the BG-Mosquitaire trap is significantly better than all other mosquito traps. Does the BG-Mosquitaire trap also catch other mosquitoes? Typically, at least 80 % of the captured insects from the BG-Mosquitaire trap are tiger mosquitoes. The rest consists of a couple of other species of mosquitoes. Does the BG-Mosquitaire trap catch other beneficial insects such as butterflies or lady bugs? No, due to its specialization for tiger mosquitoes the BG-Mosquitaire trap does not catch any harmless or beneficial insects like butterflies or ladybugs, unlike other mosquito traps such as light traps. For that reason, the BG-Mosquitaire trap is exceptionally environmental friendly. Why is the BG-Mosquitaire trap so big? One type of signal that the tiger mosquitoes respond to is a visual signal. The size of the air plume that is produced from the trap as well as the size and shape of the trap itself play an important role. The BG-Mosquitaire trap utilizes both these signals to ideally mimic a human body which is why it has that distinct size and width. A smaller trap could not attain the same efficiency against mosquitoes. What area does the BG-Mosquitaire trap cover? One BG-Mosquitaire trap covers roughly the area of one medium-sized house and garden. Therefore take advantage of the fact that tiger mosquitoes are often flying around their surroundings on their quest for prey, and sooner or later they will pass by a well-placed trap. On what basis can you claim that the BG-Mosquitaire trap is the best trap against tiger mosquitoes? The BG-Mosquitaire trap has been specifically developed for use against tiger mosquitoes. Many international scientific studies that have been published in the top scientific journals of the world, and also presented at important scientific conventions conclude that the BG-Mosquitaire trap catches a much higher amount of tiger mosquitoes than other mosquito traps catch. These publications can also be viewed on this website. What ties the BG-Mosquitaire trap to the BG-Sentinel trap? The BG-Mosquitaire trap is specially designed for private household use, and is a further developed version of the BG-Sentinel trap, which has already proven its performance in the field multiple times. Scientists and mosquito specialists use the BG-Sentinel trap to catch tiger mosquitoes all around the world. Both the BG-Mosquitaire and the BG-Sentinel use the same highly effective catching mechanism with the only difference being that the handling and operation of the BG-Mosquitaire is easier. Which customers already use Biogents tiger mosquito traps? The largest and most familiar health authorities and research institutes of the world are using Biogents tiger mosquito traps. For example the Centers for Disease Control and Prevention from the USA, the Pasteur Institute in France, and the Cairns Tropical Public Health Unit Network in Australia are currently using Biogents traps. How does the BG-Mosquitaire kill the captured tiger mosquitoes? The tiger mosquitoes that are caught in the catch bag will die by drying out or dehydrating. Mosquitoes are dependent on a continuous supply of moisture. If they do not receive it, they will dry out and die. How can I interpret the catch results of the trap? Last week, my trap only caught a couple of tiger mosquitoes. This catch result is normal. It shows that tiger mosquitoes are in the vicinity, and a risk exists. To others the catch result is normal, because tiger mosquitoes are solitary and do not fly around in large swarms. On the contrary, if you have absolutely no tiger mosquitoes in the catch bag of the BG-Mosquitaire trap, you can assume that there is not a tiger mosquito problem in your area at that moment unless the trap is positioned incorrectly. If you find a large amount of tiger mosquitoes in the catch bag of the BG-Mosquitaire trap, then there is an extremely large threat of tiger mosquitoes. Under these circumstances, we suggest using more than one BG-Mosquitaire trap. In any case, try to locate any possible breeding waters for the mosquitoes and empty them out. These water reservoirs are often found in flower pots, vases, buckets, water barrels, rain gutters, puddles, or even discarded cups that contain water. Using fine stones or sand as filling hinders the ability of the mosquito to be able to lay her eggs there in the future. How safe is the BG-Mosquitaire trap for people, in particular for my small children? The BG-Mosquitaire trap is completely safe for people and even small children, mainly because its does not use any pesticides or insecticides whatsoever. Obvious parts of the BG-Mosquitaire trap, for example the electrical connection or the fan, should not be within reach of children. How safe is the BG-Mosquitaire trap for my pets? Does the BG-Mosquitaire use insecticides or pesticides? No, the BG-Mosquitaire trap does not use any pesticides or insecticides whatsoever. This makes the trap very environmentally friendly and harmless to people, animals, pets, or other beneficial insects such as butterflies. The BG-Mosquitaire trap kills the captured mosquitoes only by dehydrating them. Does the BG-Mosquitaire use CO2 ? No, the BG-Mosquitaire trap does not use CO2 (carbon dioxide). Nevertheless, it is still highly effective. That is the big advantage of the BG-Mosquitaire trap in comparison to the majority of other mosquito traps, and makes the BG-Mosquitaire particularly so much easier with the handling. There are no bulky or potentially hazardous gas cylinders required. What are the impacts of the BG-Mosquitaire trap on the environment? the BG-Sweetscent lasts a long time (roughly two months) and is refillable. How much electricity does the BG-Mosquitaire trap need to run? The BG-Mosquitaire trap needs only 4 Watts to run. That is less than an energy saving lamp requires. Because of the low energy consumption, the BG-Mosquitaire trap can be kept on the entire day without the need of a costly, elaborate timer. How noisy is the BG-Mosquitaire trap? The BG-Mosquitaire trap runs with ca. 50 decibel, measured in 1 meter distance of the trap. Will the BG-Mosquitaire trap attract more tiger mosquitoes in my house or garden than there were before? No, the BG-Mosquitaire trap only attracts and catches tiger mosquitoes that are patrolling around the vicinity. What is particularly special about tiger mosquitoes? First and foremost, the tiger mosquitoes are capable of transmitting serious diseases such as chikungunya and dengue fever. They obtain these viruses from one bite of an infected human. The virus then begins to proliferate inside the mosquito and after roughly ten days the mosquito can transmit the disease to other humans with only one bite. In addition to these hazardous threats, the tiger mosquitoes distinguish themselves from other mosquitoes by being day feeders. They are abnormally aggressive and persistent. Tiger mosquitoes mainly do not fly in large swarms so they do not base success of the catch results on a large bulk of normal mosquitoes being caught, but rather on the actual number of tiger mosquitoes that are caught. What are tiger mosquitoes attracted to? Every mosquito species responds differently to the various signals that are emitted by their prey. Tiger mosquitoes react to a combination of particular visual signals, air plumes, and specific scents of the human skin. The BG-Mosquitaire trap is highly efficient, because it is specifically developed for tiger mosquitoes. It is a patented combination of visual signals, artificially generated air plumes, and a patented 3-component-scent that mimics human skin and further enhances the efficiency of the trap. How do I recognize a tiger mosquito? Tiger mosquitoes are not bigger than normal mosquitoes. In fact, they are often somewhat smaller. Their entire body is accentuated with white-silvery markings. Tiger mosquitoes are primarily recognized by their white-silvery stripes that begin between their eyes and continue down the middle of their back. Their hind legs also consist of the same color scheme so that they look like black and white ringed segments. Where are tiger mosquitoes found? Tiger mosquitoes are originally from Southeast Asia; however over the last 25 years, they have dispersed to many different regions around the world. Now you can find tiger mosquitoes in parts of Africa and the Americas. They are also prevalent in Europe where Italy is predominantly affected by them. There are very few regions in Italy where the tiger mosquitos have not yet made themselves at home. What do tiger mosquitoes have to do with diseases such as chikungunya and dengue fever? Tiger mosquitoes can carry and transmit chikungunya and dengue fever. Because they are day active and often bite several people in a short period of time, they can be very dangerous vectors of disease. Which regions have already had chikungunya and dengue fever epidemics? In the tropical and sub-tropical bands of the earth (Southeast Asia, Indian Subcontinent, Africa, Latin America, etc.) there are chikungunya and dengue fever epidemics every year with millions of people infected. Dengue epidemics result in thousands of fatalities annually, and among them are notably small children. In 2007, Europe had its first outbreak of chikungunya in Italy with over 200 people infected. How high is the risk for an outbreak in Europe? The risk is indeed not exactly predictable, but with the distribution of the tiger mosquitoes throughout Europe and large parts of southern Europe having the necessary, adequate warm climates, it is only a matter of time before the viruses find their way through Europe. Every year hundreds of thousands of people travel to regions at risk and return back to their countries. In the last couple of years, hundreds of these travelers brought back chikungunya or dengue infections with them. It is now only a matter of time until the tiger mosquito will bite an infected person, and be able to transmit it to other individuals. Above all, chikungunya will be transmitted especially well by tiger mosquitoes. Has Europe already been affected by such an epidemic? Yes, Europe had its first outbreak of chikungunya fever in Ravenna, Italy, in 2007, where more than 200 people were infected. In this case, the disease was introduced by a man who was infected while traveling in India when he returned back to Italy. What are the symptoms and implications of chikungunya fever? Chikungunya fever was first described in East Africa in the 1950s. Today, the distribution area of the disease reaches from eastern and southern Africa over the Indian Subcontinent and to Southeast Asia. Currently, the tiger mosquitoes and their close relatives, the yellow fever mosquitoes, which are not found in Europe, yet, are the only definite carriers of this virus that have been observed. Chikungunya is a word from the Tanzanian language that means “that which bends up” or “that which contorts”. The infected person normally has a rapidly increasing high fever. Severe joint and muscle pains cause extreme sensibility to where the individual can barely hold an erect position. The fever usually lasts only a couple of days. Normally, the illness simply runs its course, and the symptoms begin to subside after approximately one to two weeks unless complications occur. Consistent complications and deaths are rare. There is no vaccination currently available. After overcoming the disease, the individual is immune against chikungunya for life. What are the symptoms and implications of dengue fever? Dengue fever (also known as breakbone fever) is transmitted by the Asian tiger mosquito and the yellow fever mosquito. Regions of the greatest risk are Northern Australia, Southeast Asia, India, parts of Africa and parts of the Americas. In 90 % of the cases of infection, flu-like symptoms will be observed. In the other 10 % of the cases, a sudden high fever of up to 41° C is accompanied by a headache, limb, joint, and muscle pain and occasionally a skin rash. After approximately five days another fever attack usually follows, and then the recovery phase begins which can drag on for several weeks. The most severe form of dengue fever is the so-called dengue hemorrhagic fever (DHF), and it is associated with internal bleeding. Each year more than ten million people will become infected with the dengue virus, and a hundred thousand people will develop the severe form, DHF. In most countries roughly 5 % of people suffering from DHF die. Where there are good medical services, this percentage drops to less than 1 %. Most of the fatalities occur among children and young adults. Currently there is no vaccination against dengue fever. There are four closely related types of the dengue virus, and a sufferer of one type of dengue virus is not necessarily protected against the others. On the contrary, the risk of contracting the severe form of dengue fever, DHF, increases with the second infection of a different virus type. How are chikungunya and dengue fever transmitted from tiger mosquitoes? The chikungunya or dengue virus will be transmitted to a tiger mosquito when that mosquito bites a person who is infected with that virus. The virus begins to proliferate in the mosquito. After roughly ten days, the virus can be transmitted to a person who is bit by the infected mosquito. If the mosquito is killed within this time period then the disease cannot be passed on. Can I vaccinate myself against the chikungunya or dengue fever? No, there are still no vaccinations against chikungunya or dengue fever despite much research from health authorities and pharmaceutical companies.